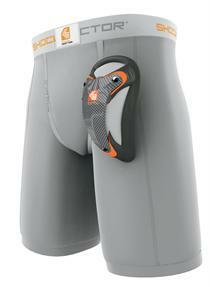 Extra supportive four-way stretch short with anti-microbial fabric that wicks moisture away from the skin. Designed expressly for the rigors of MMA with X-Fit retention system, leg grippers to reduce movement and ultra carbon flex cup. Flex cup has orbital gel pad that maximizes comfort and fit. Email your friend about the Shock Doctor Ultra Mma Short & Ultra Carbon Flex Cup. Ask a question about the Shock Doctor Ultra Mma Short & Ultra Carbon Flex Cup.